As a hiring manager and entrepreneur who have interviewed hundreds of candidates for various tech related roles such as data scientist, software engineer, web developer, sales engineer. I have seen many awesome resumes that truly make me want to get in touch right away, but also resumes that I really wondered how they were able to pass the HR screening. 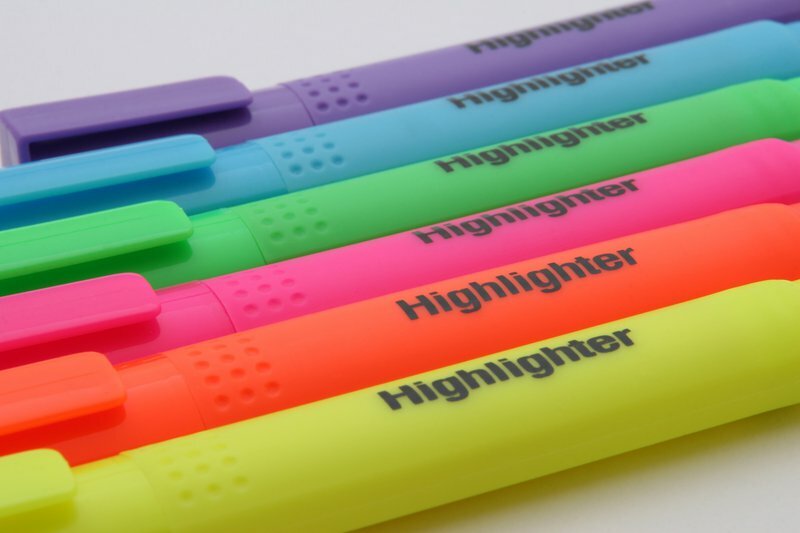 In this article, I have summarized 3 tips that I think will significantly improve your resume and boost your job search in 2019. 1. First impression really matters. 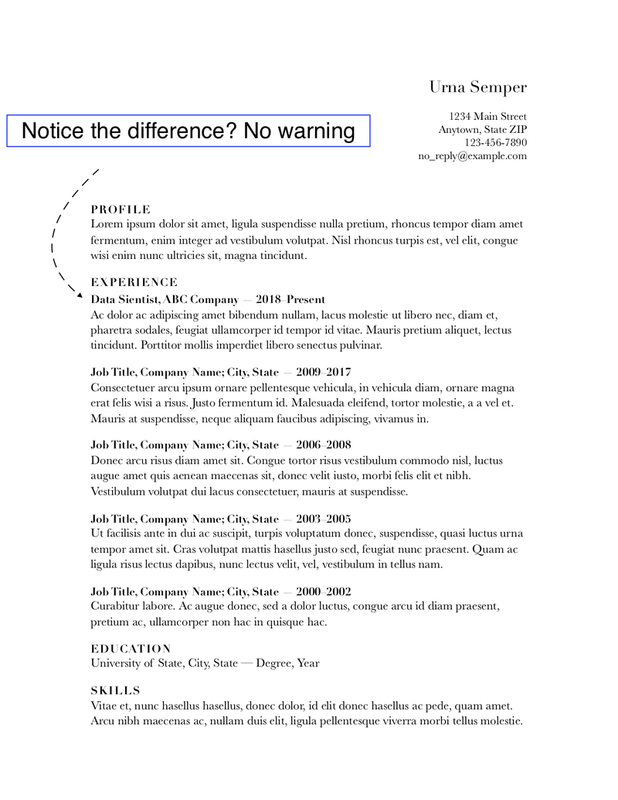 Make sure your resume looks and feels elegantly. Imagine you are going out on your first date, you spend 3 days to decide which beautiful jean and shirt matches best with the restaurant for dinner, and another $100 to make your hair looks great, then another few hours deciding which colon to wear before you head out. Viola, you left your date with a great first impression and you two have decided to go out for a hike next week to learn more about each other. The same applies to your resume. Very often your resume will be first reviewed by an HR person who may not be super tech savvy in your research field. So make sure your resume leave a good first impression so she will spend time reading through your resume. In my own case, I usually use a builtin resume template (nothing fancy but at least it looks professional) then do some customization with my favorite fonts, and colors. 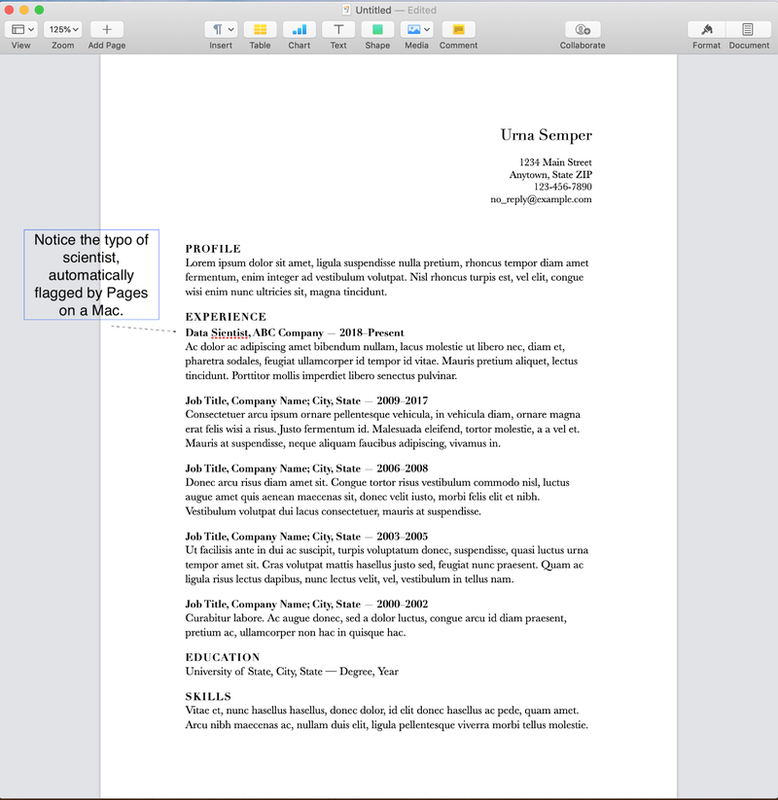 If you are using a Mac, you can use Pages and select one from its resumes templates to get started. 2. No spelling errors or typos. Make sure you do spelling checks before send it out, it sounds trivial, but looking at the above picture, you realize how bad the red underline warning looks, right? To take extra precaution: you can turn your resume into a PDF file which usually will be opened by a read-only PDF viewer application. Now let’s see if we send your resume in PDF instead. 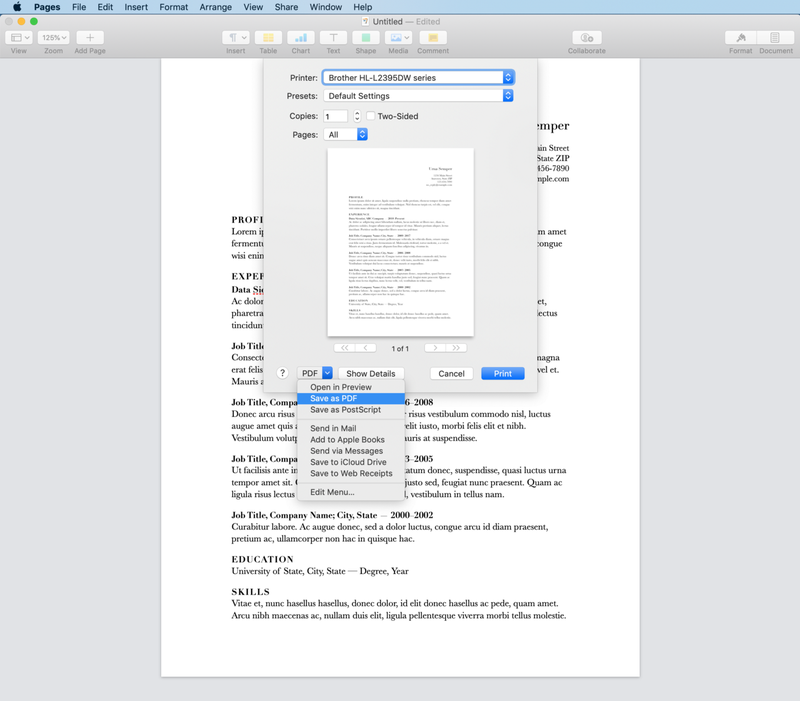 If you missed a typo and send out a PDF file instead a doc/pages file. It is highly likely the recruiter will open your resume by a default PDF application: e.g., Preview on a Mac, and there is no spelling check with an automated warning that makes your typo looks horrible. Although saving to PDF file and using this trick sounds great, we still highly recommend you to check your spelling errors using a tool or have your friend proofreading it before sending it over. 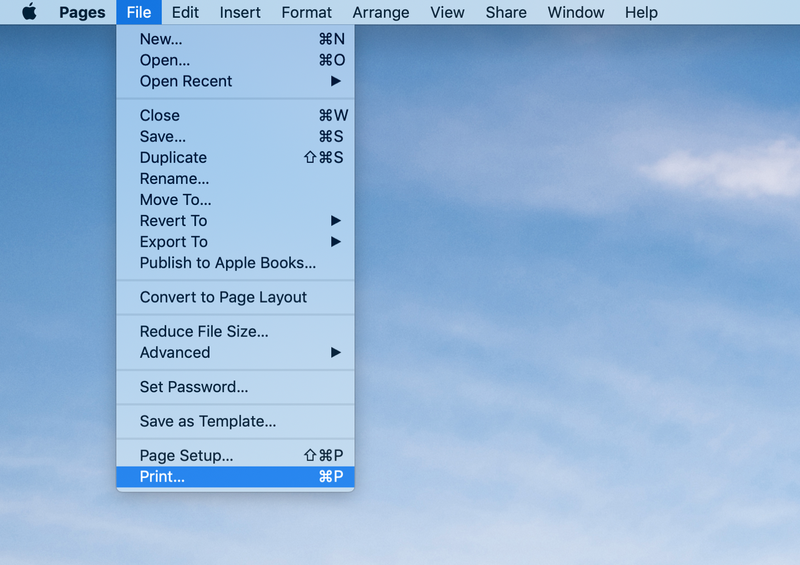 For windows, you can install a free pdf converter program such as cute pdf , to convert your word document into a PDF file. As I mentioned previously, an HR may only spend 10–15 seconds to quickly go through your resume before she makes a decision, that why highlighting your relevant skills and experiences that are related with the job requirements is key to keep her focused and continue to read your resume. You should also customize your resume towards different companies. For example, if you are interviewing Facebook, perhaps you can emphasize your hacker skills with PHP, but if you are interviewing at a cool hippie startup in San Francisco, perhaps it is best not to even mention it. I highlighted my relevant experiences and skills with bold fonts. Turned out it really worked, I got a phone call from their recruiter only one day after I submitted my resume through the company website. “10+ years of experience in machine learning, natural language processing, supervised/unsupervised learning. Experienced in applying data-driven approaches to solve complicated and ambiguous business problems. Hands on with data, many years of SQL experience in RDBMS (Postgres, MySQL), big data (Hive, Spark, Hadoop); data analytics (R, Python) and visualization (D3,Tableau); engineering development (Scrum, Git, Jira). 4. Submitting your resume strategically. Don’t send 100 applications a day. The 4th tip is not about the resume itself, but when and how to present it to improve your chance of getting an interview. I often compare submitting your job application to pitching a startup idea to a venture capitalist. You don’t want to cold email an investor and ask him for lunch so you can sell him your great ideas, instead, you ask you buddy who knows the investor pretty well to send a warm introduction email for you before you meet. The same strategy should apply to a job search as well. If you know someone who works at your dream company, don’t submit your resume through the company website, ask him to do you a favor and submit your resume for you, or even better, sending the hiring manager your resume directly and you may get lucky to skip the HR screening. If you got the offer and join the company in the end, your friend might get a nice referral bonus, if not, there is nothing for your friend to lose. It’s a win-win situation. Traditionally in a large corporation, a common work flow starts with a researcher creating a prototype model, after demoing it and greenlighted from management, he then hand over the prototype (usually developed in a none-production-friendly-programming language such as R, SAS, MatLab or even Excel) to a software engineer. The engineer will then reimplement the prototype model with a programming language such as Java, C/C++/C#, etc. Nowadays a lot of company (especially in Silicon Valley) has adopted the agile style of product development, and very often asking for extra engineering resources to help with a machine learning models is quite difficult. Imagine if you can develop a model, demo it, then productionize it all by yourself, you will not only minimize a lot of back and forth among different teams, save the company a lot of money and therefore makes yourself much more valuable to the team. Tips: if you are familiar with Python, you can take a look at Flask or Django to productionize your model. I plan to write a series of tutorials teaching you how to use Django to serve a machine learning model. Subscribe to our mailing list and be the first to know. A well chosen chart beats a thousands statistics. Unfortunately not many business leaders who can greenlight your project are technical enough to fully understand your models and codes. Creating an aesthetically pleasing graph (e.g., using D3 or Tableau) and bring it to a meeting can greatly increase your chance of convincing people about your ideas and persuade others to buy in. Tips: D3 is famous for its steep learning curve, I highly recommend Scott Murray's book, it's the best introduction book about D3 money can buy. Finally, good luck with your job search in 2019. If you have any questions or would like to hire a mentor to help with your job search, please feel free to let me know, my email is: leon at skills dot ai. Leon, is founder of skills.ai. Skills.ai is a mentoring platform for job seekers in high tech, where you can hire a mentor to help with your job search. “The best way to nail a job interview is to hire a mentor who has done it. It is the fastest shortcut to success. You will sharpen your job skills like using cheat codes, and learn more working with them than you will in months on your own. He currently lives in San Francisco Bay Area and is working at a top technology company. 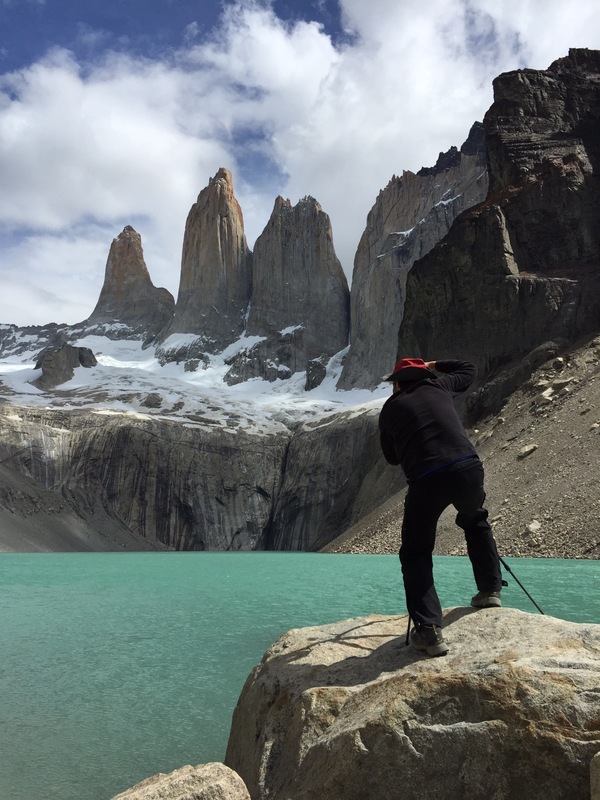 He has been actively interviewing data scientist, software engineer, and tech related roles in the past 10+ years.